The new Euro-challenging RC 350 from Lexus represents a quantum leap for the soon-to-be 25 year old marque. Roderick Eime examines Lexus’ newest offering designed to tempt sports car buyers away from the big European rivals. 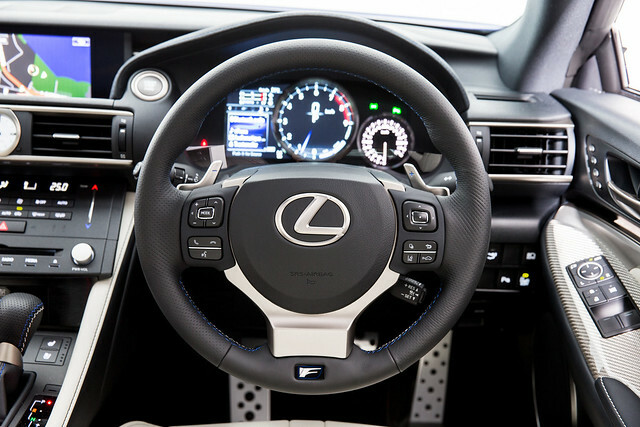 While it borrows cosmetic and engineering cues from other vehicles in the range, like the GS and IS models, Lexus maintain the RC 350 is not a reconfigured sedan. The purpose-built chassis comes with a unique blend of stiffness and strength needed to accommodate sporting yet supple suspension. As with the LFA supercar, first unveiled in 2009, the RC 350is designed to reinvigorate interest in this prestigious marque, except that the RC (for Racing Coupe) series will reach out to a younger, sporty demographic in Lexus’ lower/mid price range. "The RC 350 is a very important vehicle for us - it provides a clear aspirational target and injects a stronger connection to the brand, combining with its strong quality and innovation hallmarks," said Lexus executive, Sean Hanley, at the vehicle launch last year. "Our LFA supercar previously embodied Lexus' passion and acted as an emotional drawcard, and it was one of the most important models we've ever produced. However, it was off limits to most buyers. "This new vehicle brings a portion of LFA's excitement to a more attainable market segment, and will boost the brand's appeal even further," he said. 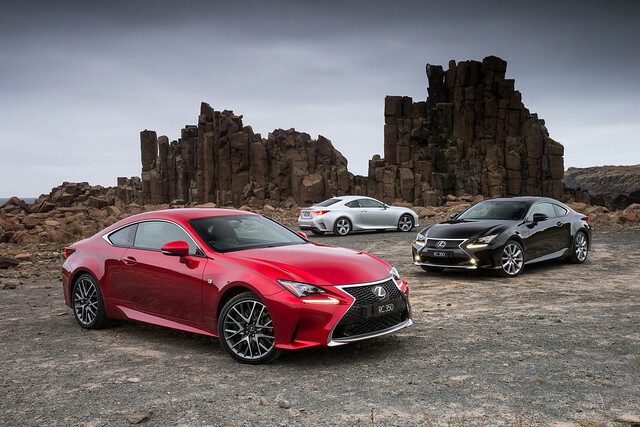 Lexus RC 350 follows Lexus' 'Y' model marketing strategy with three offerings. Starting with Luxury, it then follows with two arms: F Sport and Sports Luxury. Those with deeper pockets and a lust for performance and luxury perfection will want to examine the top-of-the-line Sports Luxury which adds a host of features befitting the discerning sports car enthusiast. The basis of the RC 350 is the ultra-responsive 233kW 2GR-FSE 3.5-litre quad cam, direct injection V6 powerplant and eight-speed Sports Direct Shift transmission driving through the rear wheels. The engineering team proceeded to fine tune the chassis and front double wishbone and rear multi-link suspension to optimal levels. The super hi-tech electronically controlled centre differential, offered as an option in some markets, varies the front-to-rear torque balance to provide optimum traction in all weather conditions and Dynamic rear-wheel Steering System (DRS). Take things to the extreme with the RC F, a performance package that critics admit rivals some of the best European vehicles in this sector. 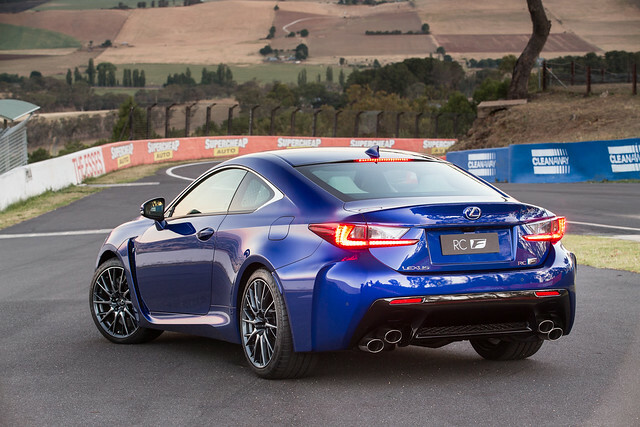 Lexus’ new ‘halo’ RC F coupe is the third Lexus to wear the F badge, after the IS F and LFA supercar. F models are built for true drivers who want to immerse themselves in pure driving pleasure and satisfying performance. 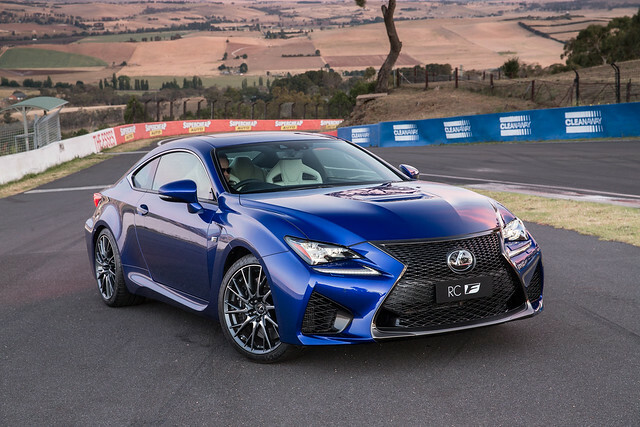 The RC F comes loaded with a 5.0 litre 351kW V8 engine, stiff chassis, racetrack-developed suspension and brakes, with power delivery via an eight-speed transmission and unique torque vectoring differential. The maximum power is delivered at 7100rpm, while the 530Nm of torque kicks in between 4800 to 5600rpm. Not only does this race-bred weapon look the goods, it sounds every bit on the money too. Active Sound Control creates a deep ominous tone up to 3000rpm, then a higher-pitched tone as revolutions rise with the sensation of the engine soaring freely above 6000rpm, which it does thanks to titanium valves, forged connecting rods and an optimised exhaust layout to more effectively harness these musical exhaust pulses. With the LFA out of production, the RC F now assumes the mantle of F image leader and is also the basis of Lexus' entry in the World FIA GT3 Championship as well as the Japan Super GT championship. If this neck-snapping performance and head-turning good looks weren’t enough, Lexus RC F is offered with an optional carbon fibre pack, developed using technology from the LFA program and CCS-R race car. Designed to save weight, the carbon-fibre pack includes the bonnet, roof and active rear wing and interior cabin decoration to match the mean exterior look. This includes alcantara seat trim with 20-spoke High Plus forged aluminium wheels and ventilated front seats as further options. With the new RC 350 and its high performance F derivatives, Lexus has stamped its authority yet again on the ultra competitive luxury performance sector with styling that will certainly make anyone look twice - at least. Engine type: All-alloy 90-degree V8, 32 valves, double overhead cams with dual VVT-i and electronic inlet timing actuation. Type: Eight-speed SPDS automatic. Electronically controlled with sequential shift, artificial intelligence shift control and 2nd to 8th gear torque converter lock-up.